Introducing you now to carnivores, who live on your land and fly overhead. Though you may be aware of one or the other, there is actually a community of carnivores present, and they all have their own niches, or overlap with each other. They all play an important role, but the one who has the greatest positive effect is often called the Keystone Carnivore. And in almost all of the Eastern United States Coyote plays that role. But first, let’s back up for a moment to understand why farmers in the Eastern United States are in a somewhat similar situation with regards to carnivores. The human history that took place on the American continent in the past five centuries has much to do with this moment in time that we are living. Due to a complete lack of understanding and fear of carnivores, those who came before us wiped out the wolves, cougars and many raptors who lived in the East. Along with these actions, they also clearcut the forests and almost eliminated large herbivores like deer, who were an important prey of the large carnivores. Therefore the generations of people who grew up in the East after these happenings, never lived or farmed with carnivores. Then, in the mid 20th century, the forests began to grow back, and as all of you know the deer and beaver populations rebounded due to controls on hunting and trapping of these species. In addition, due to the extermination of the wolves in the west by the early 20th century, our native wild dogs, coyotes, began to expand their range….slowly filling all the niches in the east where wolves once lived. Coyotes are leading the way, and others like the cougar, will follow them…or are doing so already. In our time, Nature is recovering from the past, but the knowledge and understanding of the carnivores has never been passed down to us, nor the animal husbandry practices that would have empowered all our farmers to live well with the carnivores on their land. We have a steep learning curve to travel! But know that we are fully capable of living well with carnivores. They are adapting to this whole new world they find themselves in. If they can do it, so can we. To assist you, we will share an ever growing body of scientific knowledge regarding the carnivores on your farm. Knowledge minimizes fear, and empowers you. An important part of that knowledge is the understanding of the immense value of having carnivores on your farm. When you know what their presence brings to your farm in the form of a healthy, balanced ecosystem, you will come to welcome their presence. Since coyotes are the Keystone Carnivore on your farm, let’s begin with them, and then we will continue with other carnivores present as time goes by. But what are Coyotes doing that is so important? Rodent Patrol: Controlling rodent populations is vital to the health and success of your farm. Rodents, though small, carry many diseases that can affect our farm animals and us. They are the host species for Lyme disease and other debilitating or fatal bacterial infections. When predators are present, they control these rodent populations. Herbivore Patrol: Herbivores eat green things, no matter the size of the herbivore. It is important that their numbers remain in balance, and why? If herbivores are left unchecked, they are capable of destroying the habitat needed by other species such as birds, bees, and butterflies. These species are important sources of insect control and pollination needed on your farm. This is why the important relationship of predator and prey has evolved through the millennia in Nature. Who are these Herbivores? Primarily rabbits, woodchucks, rodents, deer and moose, but also others. In reference to deer, the Coyote’s presence on your farm controls the deer’s mighty appetite for the “green things,” whether they are wild greens, or vegetables you are growing. Coyotes accomplish this first by keeping the deer population on your farm in balance, but also just by their presence, keeping the deer on the move, thus preventing them from destroying important habitat and eating the vegetables in garden. If you have farm animals, keeping deer populations in balance and on the move prevents them from lingering in your pastures where your domestic animals feed. Deer can carry diseases, like meningeal worm, that are transmitted to your farm animals in this way, especially your hoofed animals. In regard to orchards, these farmers are already experiencing the relief of having coyotes present. Those orchard farmers, who have struggled with the damage done by rodents and woodchucks to their trees in the past, have observed the positive affect of coyotes present on their farm. Is there more Coyote does? Yes, there is! See if you can observe more on your farm. Coyotes have a rich and complex social structure that is always alert to environmental constraints. Their families are made up a pair of mated adults and their offspring. This includes the new pups of the year, and adults who were pups in the previous years. Under stable conditions, female coyotes often do not give birth until their fourth year, and by the time they are six, they will tend to be less fertile. In late January mid February, only the alpha female mates with the alpha male. She is fertile for a short period of time once a year for about three weeks, and gives birth to her pups in April or May after a 60-63 day gestation period. Coyote families live in distinct territories that meet their daily needs for survival. Under stable conditions, a coyote family will maintain their territory and not permit other coyotes to enter. When coyotes are heavily exploited by humans, the stable family disintegrates, as well as their territorial defense. In this situation, often young coyotes that are only yearlings will have pups. 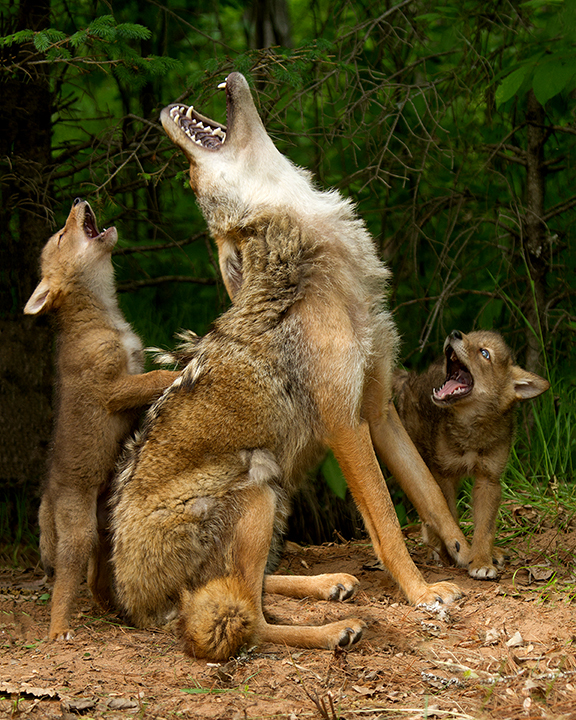 Very young coyotes have difficulty being effective parents to their pups, who need to be taught all the complexities of survival from their parents, including their hunting skills. As a result, the young, inexperienced members of the pack who are not adept at hunting as yet may starve to death or come into conflict with humans in their search for food. So it is important for farmers to understand that the safety of your farm animals is often linked to how stable the coyote family is on your farm. Your goal then would be to keep that stable family who know you and your rules, and also are excellent hunters of their wild prey. The result is ~ the coyotes have no need to seek out your farm animals as prey, because they are effective hunters of their wild prey AND by doing so are assisting you in keeping a balanced and healthy landscape. A fifth generation farmer in Maine once expressed it this way: “I know my coyotes’ howl, and I don’t want anyone messin’ with them.” He gets it. He understands the big picture. 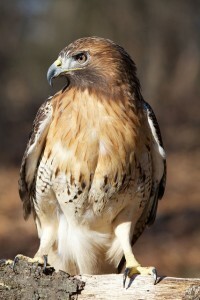 Raptors like hawks, eagles, harriers, osprey, falcons and vultures hunt and feed on other animals. 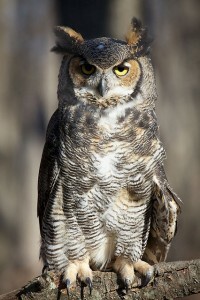 They are characterized by keen vision, powerful talons and beaks. Owls are nocturnal birds of prey with sharp talons and feathers adapted to silent flight. Their forward facing eyes give them a greater sence of depth perception, to assist them during their night time hunting. Thanks to laws protecting these birds and the banning of DDT in this country, these predatory birds are returning to the landscapes where they once thrived. They have the ability to swoop down and take chickens in their powerful talons. So if you are raising chickens it is important to be aware of their presence and use the appropriate protections. The following is a link that will take you to Cornell’s bird information site. If you wish to learn more about the birds who are flying overhead, this is a great resource. Adult cougars weigh an average of 140 pounds and are seven feet from nose to tip of tail (tail is almost as long as the body). Color is brown to gray above and whitish below. Cougars can jump 15 feet high and 40 feet wide, climb trees and swim rivers. 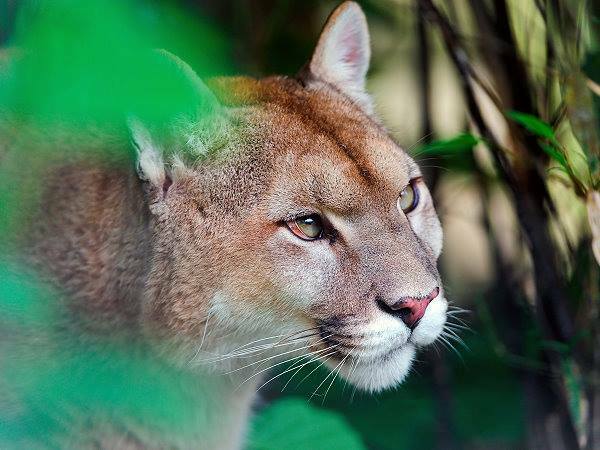 Cougars are solitary hunters, taking prey by ambush rather than long pursuits. They stay low to the ground and use whatever cover is around. When they get close enough to their prey, they explode in a sprint of up to 35 miles per hour. 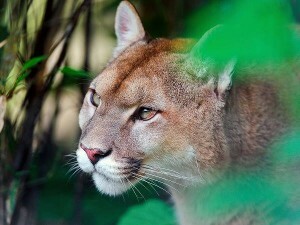 The cougar is a strict carnivore, and they prefer deer as prey, but will eat a wide variety of large and small mammals. So their role in balancing deer populations in the East is vital. Their presence and that of Coyotes has the potential to save vegetable and orchard farmers tens of thousands of dollars, that at this time are being spend on fencing to keep deer out. * Above information provided by www.easterncougar.org You can go to this site to read more about cougars and the ongoing research regarding them. Both of these two species of fox inhabit the eastern United States. Before the deforestation of the East took place, the grey fox population dominated that of the red fox, for they prefer to live in heavily wooded areas, and the red fox in more open landscapes. 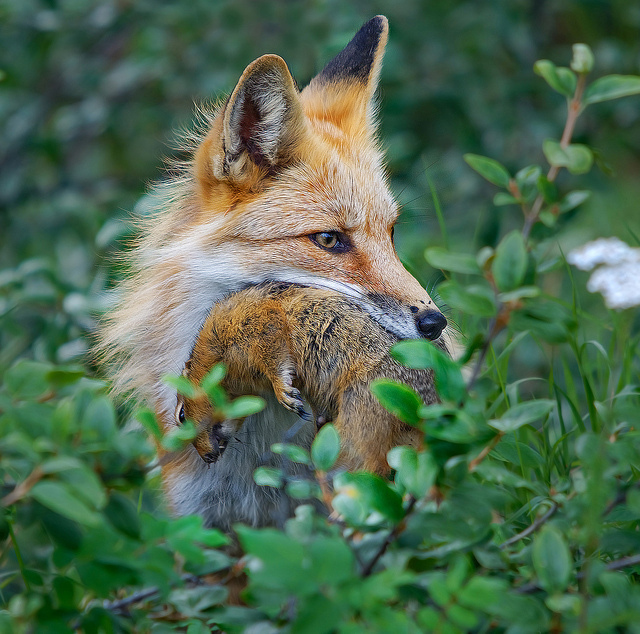 But now the red fox dominates the lands in the East. So the environment of the farm then is a comfortable habitat for the red fox. For several centuries now they have acquired the reputation of raiding the chicken coop. Because animal husbandry practices to protect the chickens on one’s farm had not been initiated in the past, the vixons over numerous generations have taught their kits where to find food….the chicken coop. So now it is time to let her know that there is no easy food to be had on your farm any more. Both species have a highly varied diet of wild food ~ voles, small mammals, plants and berries. This is what you want them to be eating on your farm. 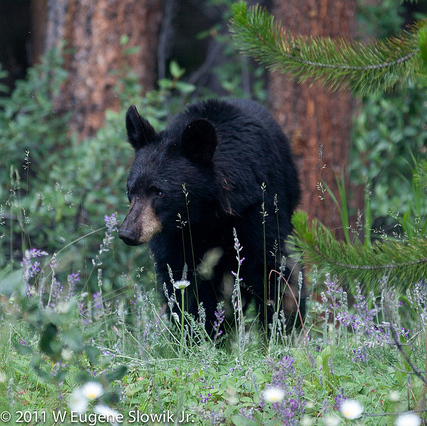 Black bears inhabit the east, favoring woodlands with thick brush. They are omnivores, and their diet is made up of 85% vegetation, but varies depending on the season and their habitat. Their keen sense of smell will seek out honey wherever it is being produced, both in the wild and under the care of beekeepers. Bears hibernate through the winter in the northeast, and when they awaken in the Spring, they will seek out carrion of animals that died during the winter, as well as deer fawns. 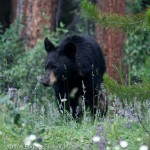 Bird feeders are highly discouraged as they will invariably draw any resident bear onto your property. If you are a beekeeper, you may wish to protect your hives from the hungry bears by means of electric fencing. 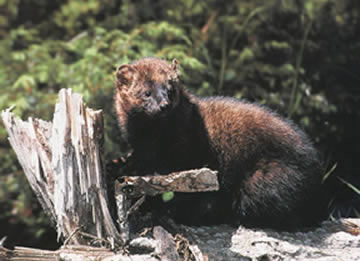 Fishers are the largest member of the weasel family, and their population densities are low in most of the habitats they favor. Their preferred prey are rodents, snowshoe hare, red squirrels and porcupines. 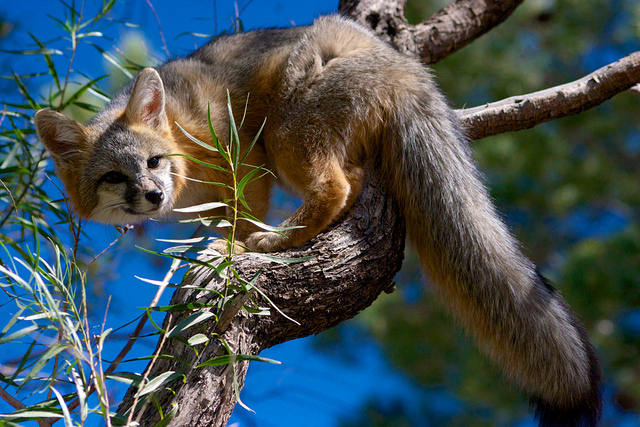 Because of the Fishers ability to climb trees, they are one of the few successful predators of porcupines. They play a significant role in controlling porcupine populations, who if unchecked have the habit of eating away on tree bark and thus killing trees. 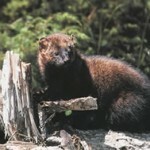 Fishers are good to have around your farm for this reason, and their control of porcupine populations may protect your farm animals and dogs from their painful and dangerous quills. 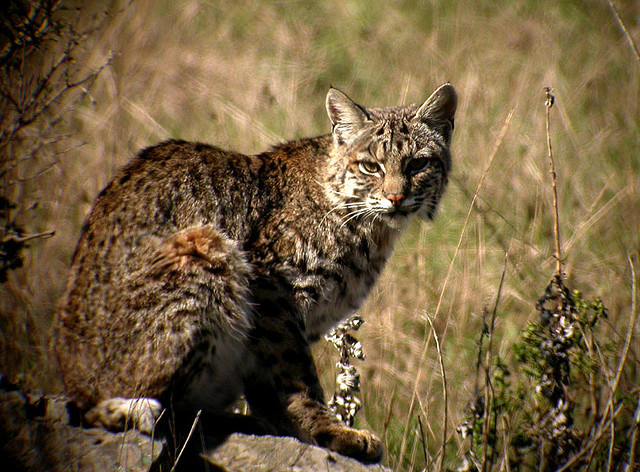 Bobcats are smaller than the Canada Lynx, the males ranging in size from 14 to 40 pounds and the females smaller than the males. Their fur coat is camouflaged with a spotted pattern and their stubby tail has given them their name. They prefer to live in woodlands with brushy landscapes and rocky outcrops, this habitat befitting their feline behavior of stocking prey. Their preferred prey are rabbits and hares, but they have a very diverse diet ranging from insects to deer. They are very adaptable in their hunting skills, adjusting their techniques to specific prey, and prefer to hunt in the evening and early morning hours. 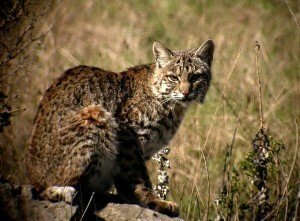 It is good to know about bobcat’s hunting times and behaviors if they live on your farm. And yes, Weasels, Raccoons and Skunks are sturdy carnivores in their own right. Their smaller size does not stop them from seeking out your more vulnerable small farm animals like chickens and rabbits. But again, we want these small carnivores to eat their wild prey. The following books are excellent resources to learn more. They’re available through your local bookstore, online, or from your local library (try interlibrary loan if your library doesn’t own a copy). This is a classic, one recommended to all who make their living on the land. 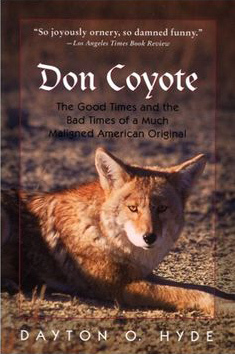 The author is a long time rancher in Oregon, and explains from a rancher’s point of view the importance of allowing the coyotes to go about their own business as wild predators. 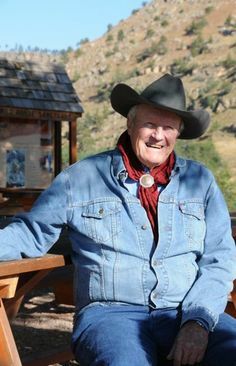 Through this delightful book, he shares his respect for the carnivores on his ranch, most especially…Coyote. 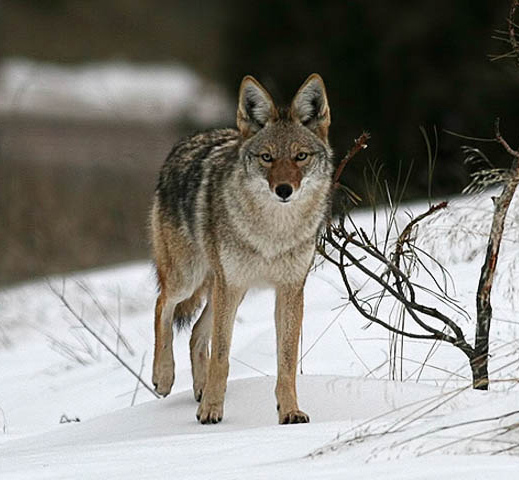 Written by wildlife biologist whose work focuses on carnivores, most especially Coyotes, this new book gives our farmers in the East the opportunity to learn about why and how Coyotes expanded their range into the eastern part of our country. A book you won’t want to put down, it shares with you Coyote ecology and family dynamics in a unique and personal manner. Exceptionally valuable book on raptors. It includes 101 scenes in nature where these birds of prey live out their lives. Along with these outstanding photos of raptors in their habitat, this book includes excellent, concise information regarding each one of them. If you want to learn more about our American Lion: the Cougar, this is an excellent resource. It comprises articles written by biologists who have participated in research of this species. Their accounts explain Cougar behavior and social relationships, as well as their importance and participation in healthy ecosystem processes. Stunning photos are included. Geri Vistein, the author of I Am Coyote, is a conservation biologist who’s studied and written extensively about coyotes and other predators. 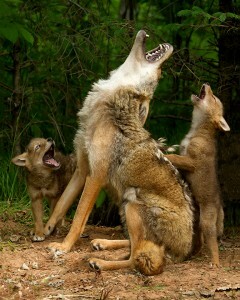 The following links are blogs she has written for Mother Earth News regarding carnivores.